Team building is undermined by anger and stress in the workplace. 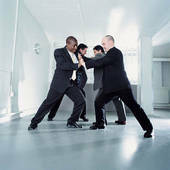 As anger and stress levels rise, interpersonal conflict increases. I dealt with this recently in my work with a team leader in a construction firm. His team was in dire need of anger management and stress management training. Workers were arguing, finding passive aggressive ways to sabotage one another, and they even had a violent outbreak. Petty theft seemed on the rise as well. I was originally brought in as a motivational speaker to boost worker attitude to improve teamwork. But it became glaringly obvious that these workers were having a hard time coping with change and coping with uncertainty, as their team leadership had gone through 3 transitions in the past 9 months. I helped this relatively inexperienced, new team leader understand that worker motivation and stress do not go together. I helped him understand how teams lose motivation as anger rises. There was a tremendous amount of griping going on throughout the workforce, severely damaging team morale. So the team training that I presented began with a short session to management, focusing on the relationship between communication and stress. Because this workforce had gone through so much change in such a short span of time, they needed to be communicated with in ways that would reduce their stress. Communicating in a way that suggests a sufficient amount of transparency is a way that leadership can manage stress in the workplace. As leadership clearly explained, in team meetings, why team leadership had to change, and what team members can expect going forward, they helped team members better manage emotion. The next stage of the team building training I presented directly to the work teams. This included anger management tips to improve their attitude. One tip helped them see the difference between what happens and how they react to what happens. They got this lesson on anger and stress management for team building by simply writing down something that occurred, and then describing their angry or stressful reaction to that. I had them draw a circle around the event. Then they drew a circle around their description of their reaction. We did this over and over, and each time it became clearer to those workers how their anger and stress was NOT caused by the changes and uncertainty they were facing at work. They really SAW that how they responded to what happened was how they made themselves feel in response to what happened. This simple shift helped them to respond more positively. We also focused on how maintaining a confident attitude translates into more positive relationships, a happier workday, improved worker safety and higher productivity. First, I worked with the corporate team of leaders on increasing transparency in communication for employee stress reduction. I then presented 2 consecutive days of team building seminars on anger and stress management to the construction work-teams. As a result, the workplace atmosphere changed. Interpersonal relations improved. The griping greatly diminished and the negative impact of the residue was largely neutralized. And this, in turn, led to improved team building through a reduction of anger and stress. Effective communication does NOT happen automatically. 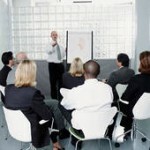 Communication in the workplace demands the development and application of essential communication skills. Constructive professional communication requires, for instance, the skill of professionalism in communication. Professionalism in communication means NOT taking what comes up during the communication process personally. It means relating PROFESSIONALLY, which means responding in ways that advance accomplishment. Taking communication personally means reacting emotionally in ways that undermine, rather than support, one’s professional objectives. One of the biggest blockages to effective communication in the workplace is the fact that many of us seem to believe that HOW to communicate well means simply speaking your mind. For the best team building results, though, it requires ongoing communication skills training. One important skill to develop for communication success has to do with emotional reactions. First, to improve communication, work on developing your ability to NOT react emotionally to the words that you hear. Practice deliberately remaining calm, emotionally neutral, in response to the words you hear. In emotional balance, you can think clearly and strategize your response in line with your objectives. Spend one week working on being more aware of your emotional reaction to words that you hear or read, and to practice remaining calm, relaxed and emotionally neutral to help you to formulate a response-strategy that will further your real objectives. For effective communication in the workplace, try out this communication skills exercise and please feel welcome to share your results, and any questions you might have, about this exercise and other ways to improve communication. There may be no more important KEY to effective sales team trainings than the MENTAL key. You give yourself an invaluable HEAD START (no pun intended) for sales success by first envisioning yourself (in your head) as a successful sales professional. Look for how you are already a sales success and you will see the ways that you are already achieving success in sales. A MAJOR mistake made by struggling sales teams is depending upon circumstances to shape their professional self-concept. This demonstrates a level of ignorance regarding how the mind works, and how to put YOUR mind to work for YOU. you will see how you are failing. you will see how you are succeeding. The principal of mental mechanics that we are looking at here is simply this: You find what you look for. It doesn’t matter AT ALL how much sales success you have achieved, because even the most successful salesperson in the world can feel inadequate, inferior and UN-successful if he or she looks for reasons to feel that way. Envision yourself as a successful salesman or successful saleswoman. Envision yourself with all of the satisfied clients or customers you want. 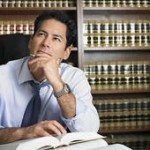 Routinely contemplate all that is great about what you are selling and why you are selling it. Discipline your mind to stay out of thought-lines that undermine your belief in yourself or in what you sell. When you don’t achieve a sale-closing, or even when a gate-keeper blocks your way, trust that you are still on a TOTALLY SUCCESSFUL sales course and you will find your trust justified. If you worry about your sales career or any particular sales process “going south” you deliver to yourself the demoralizing experience of that happening. 2. Cultivate ever-deeper belief in who they are and in what they are selling. Success in ANY field, including selling, demands mental mastery. And the mastery that produces sales team success is ongoing MENTAL Sales Team Training that reinforces a focus on selling success.